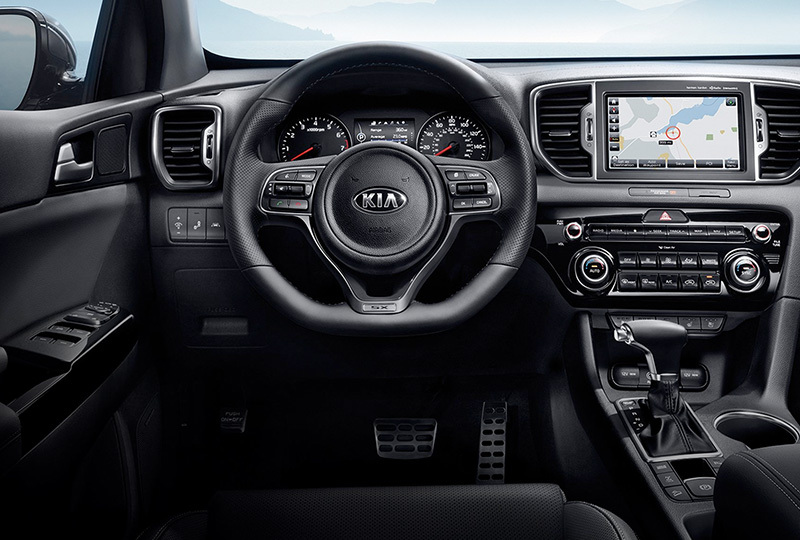 The 2018 Kia Sportage in Stuart, FL - serving Okeechobee, Fort Pierce, Port St. Lucie, Vero Beach, FL, and the entire Treasure Coast - is ready to tackle your next adventure. With a striking design, this compact crossover is hard to ignore. Climb inside and start your engine, a 2.4L I-4 with 181 horsepower that’s standard on the LX and EX trims. Add available Dynamax all-wheel drive to take your 2018 Kia Sportage on unmarked paths and rugged back roads. There’s enough room to fit all your grocery bags or a set of camping supplies for the weekend with plenty of cargo space. A standard rear view camera shows a clear picture of what’s behind you so you can back up without worry.1 More available safety technology, like the available Blind Spot Detection System,2 available Rear Cross-Traffic alert,3 and the available Autonomous Emergency Braking system,4 can alert you to dangers on the road in time for you to avoid an accident. Today is a great day to buy a new Kia. We’ve got a huge lineup of the newest models, and when you buy a new Kia with us, you’ll get free tires and batteries for life! Call us today at 866-742-4262 to schedule your test drive or visit the dealership at 3131 SE Federal Highway, Stuart, FL 34994. We’ll show you how Bev Smith Kia of Stuart is saving you the most on the Treasure Coast with a 2018 Kia Sportage! 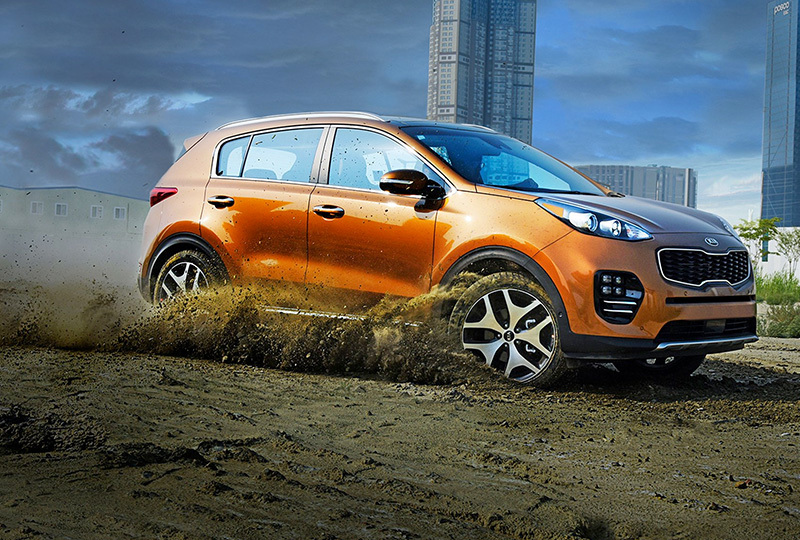 Wherever your adventures take you, the Sportage is ready to handle the bumps along the way. Its Iso-Structure™ delivers rigidity. Along with extended body insulation and other features, this creates a smoother, quieter ride for the driver and passengers alike. With state-of-the-art technology powering driver assistance, convenience, and entertainment, the everyday drive is anything but average. 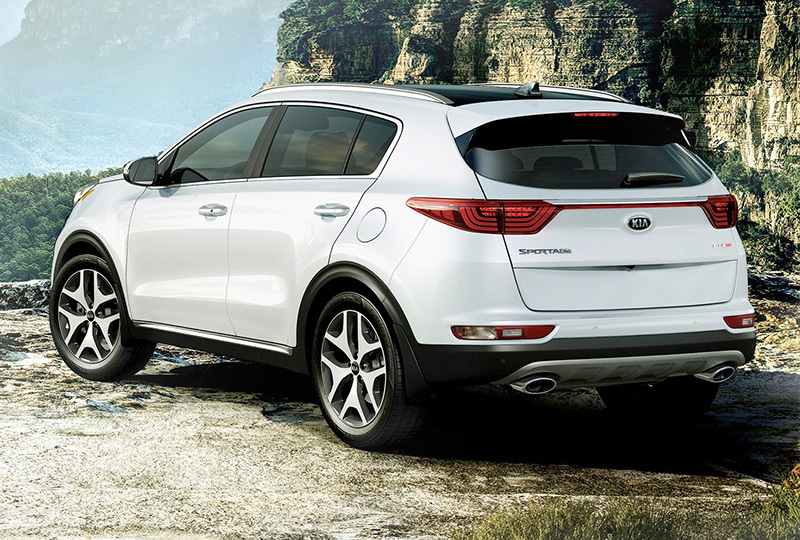 The 2018 Sportage ensures a sense of security on every journey. 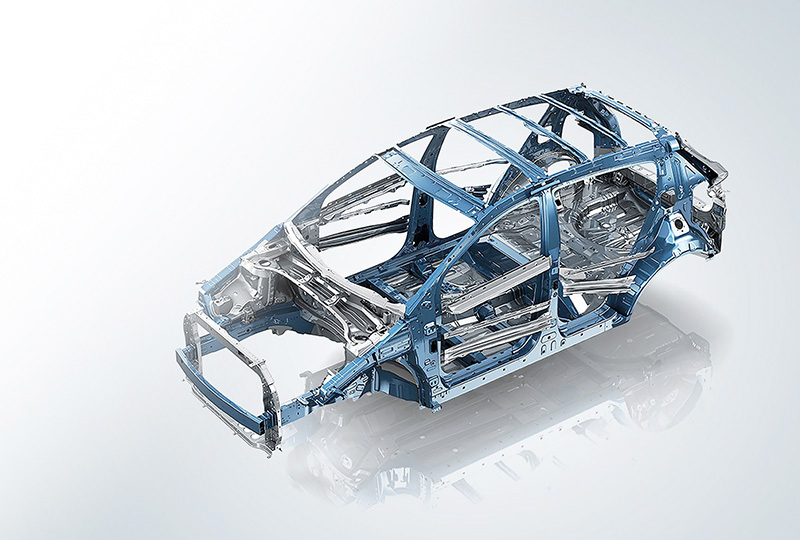 Its Iso-Structure™ unibody boasts chassis rigidity based on Advanced High-Strength Steel. Inside, a complete array of active and passive safety systems help assure that your protection is the priority. * Estimated total price and lease/purchase monthly payments are manufacturer's suggested retail price (MSRP), based on trim, colors, packages, and options chosen and are for example purposes only. This calculation reflects amounts in U.S. dollars rounded to the nearest whole dollar. Your monthly payment, down payment, rebate, and vehicle price may vary. Tax, license, title, insurance fees, destination and handling charges are not included. Dealer price may vary. See dealer for details. All information applies only to vehicles sold in the U.S.
1 Blind-Spot Detection System is not a substitute for proper and safe backing-up procedures. Always drive safely and use caution when backing up. 2 Rear Cross-Traffic Alert is not a substitute for proper and safe backing-up procedures. Always drive safely and use caution when backing up. 3 Autonomous Emergency Braking is not a substitute for proper and safe driving. Always drive safely and use caution. The Autonomous Emergency Braking System may not detect every object in the vehicle’s direction of travel. 4 The Lane-Departure Warning System is not a substitute for proper and safe driving. Always drive safely and use caution. The Lane-Departure Warning System may not detect every object in the vehicle’s blindspot or direction of travel.